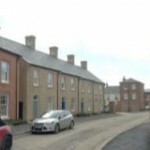 LOCATION: Reeve Street is within the new north east quadrant of Poundbury. 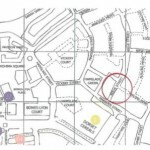 It is immediately to the east of Queen Mother Square and west of Damers School at the rear of Dorset Cereals. It can be readily found by turning off Peverell Avenue East at Liscombe Street and then left into Marsden Street. 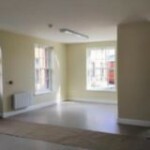 DESCRIPTION: The property comprises the ground floor of a new building completed by C G Fry & Son Ltd. The building has residential upper parts. The ground floor is split into 2 office suites sharing an entrance foyer. The suites can be purchased individually or as one. 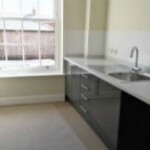 Each of the suites has been finished to a good standard including a kitchen and single disabled WC. There is allocated car parking for two vehicles for each suite. Four in total. ACCOMMODATION 11A Approximately 51 sq. m. (549 sq. ft.) & 11B Approximately 47 sq. m.
SERVICES: Mains water, drainage and electric with electric heating. TENURE: Long Leasehold (999 years). There is a service charge applicable to the building together with a Poundbury Management Charge or alternatively shorter new leases are available on terms to be negotiated. LEGAL AND OTHER INGOING COSTS: Each party to be responsible for their own legal costs. FINANCE ACT 1989: Value Added Tax (VAT) is chargeable on the sale price.